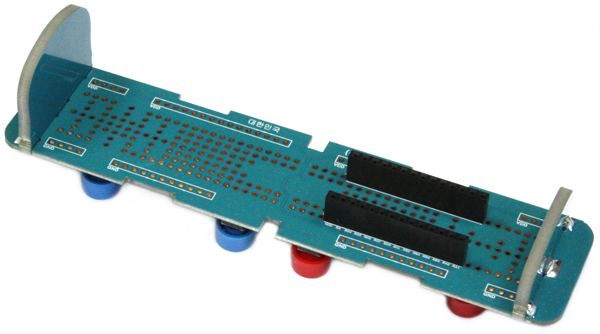 Position the Universal Motion Joypad sensor board downside up. 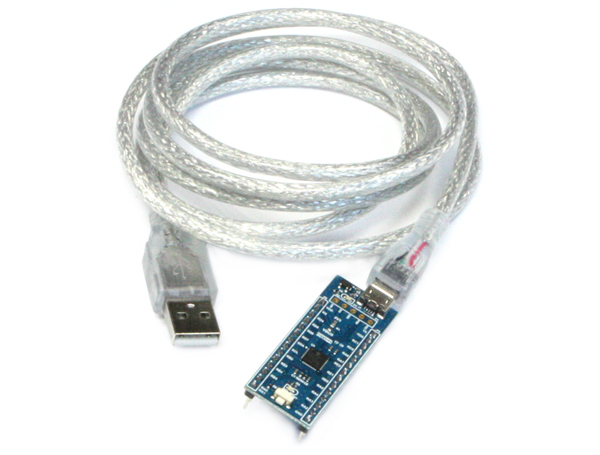 Plug the Micro-USB cable to the USB IO Board. 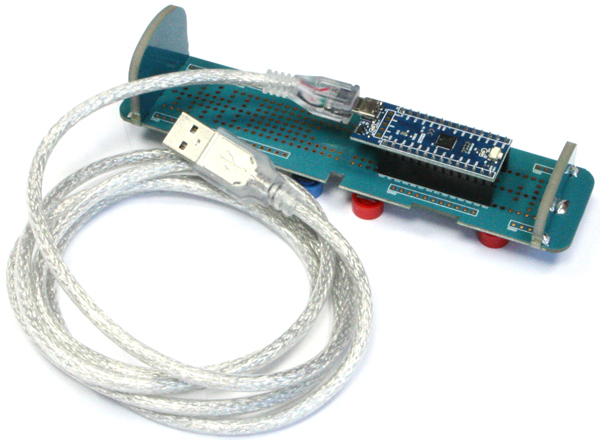 Mount the USB IO Board on the Universal Motion Joypad sensor board. 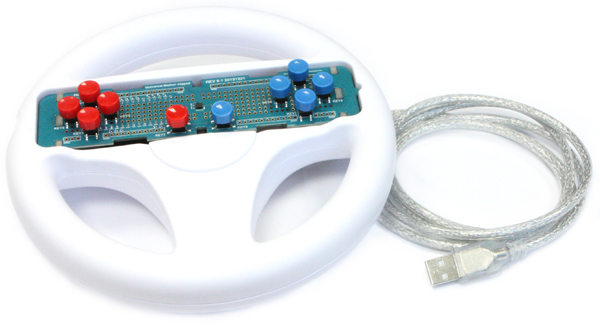 Pass through the Micro-USB cable via the hole of the steering wheel. 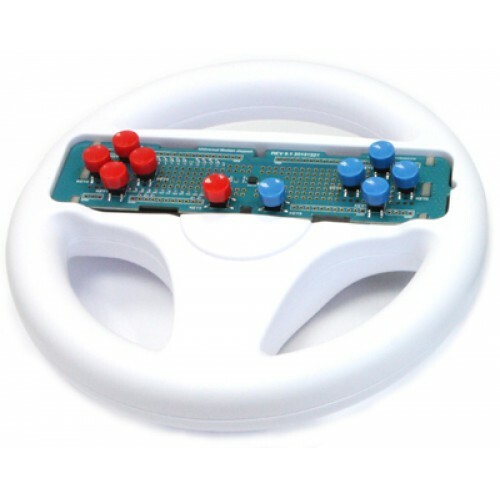 Mount the installed board on the steering wheel. Update the OS of ODROIDs to the latest version and configure the necessary parameters. After saving, reboot.